This Actisense™ Quick Network Block (QNB-1) allows backbone networking connections to be made easy and fault-free on National Marine Electronics Association (NMEA) buses and networks. 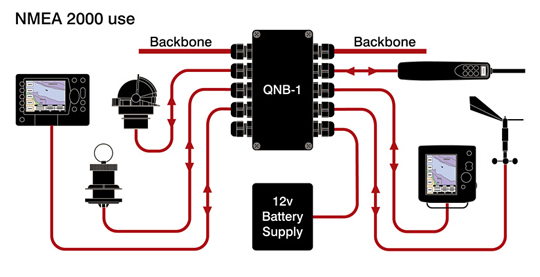 When used on an NMEA 0183 bus, the QNB-1 provides an easy junction box to connect multiple NMEA 0183 devices together. An NMEA talker device is connected to one of the network connection points, while each NMEA listener device is connected to the remaining connection points. No amplification or isolation buffering is included in the QNB-1 - if this is important, the NMEA Buffer (NBF-2) should be used instead. When used on an NMEA 2000 network, the QNB-1 is a multi-drop network backbone connection block, adhering to the barrier strip connection type detailed in the NMEA 2000 specification. 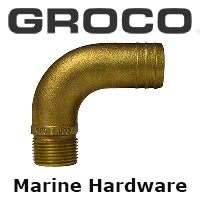 This allows for 2 backbone connections (in & out), up to 6 drop connections and a power entry point. 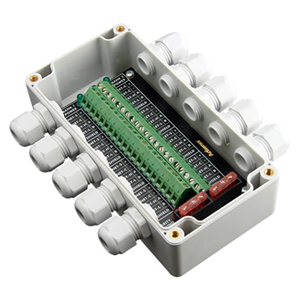 The power entry connection is protected by two 4 Amp fuses, providing current protection to each half of the network backbone. Useful LED indicators show power status, detect a power reversal, indicate whether the fuses are still intact, and detect the presense of data on the connected bus or network. Eight x 5 way connection points provided, allowing up to six NMEA 2000 network drops and two backbone connections, or in an NMEA 0183 system, it allows one talker to talk to seven other listeners. Fuses limit current in each leg to provide short circuit protection - 4 Amp fuses supplied as standard for compatibility with NMEA 2000 micro backbone wiring specification.